There is something very special about plein aire paintings. By the sheer nature of the fact that the artist has to leave the comfort of the studio and put themselves in the elements there will be a memory attached to each painting. 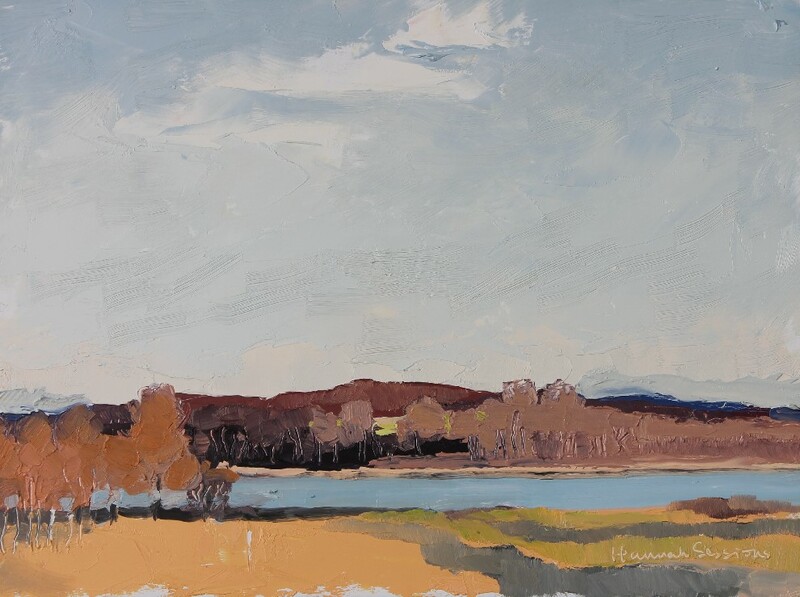 The goal of a plein aire study is not so much an aesthetic outcome but an honest capturing of the experience. 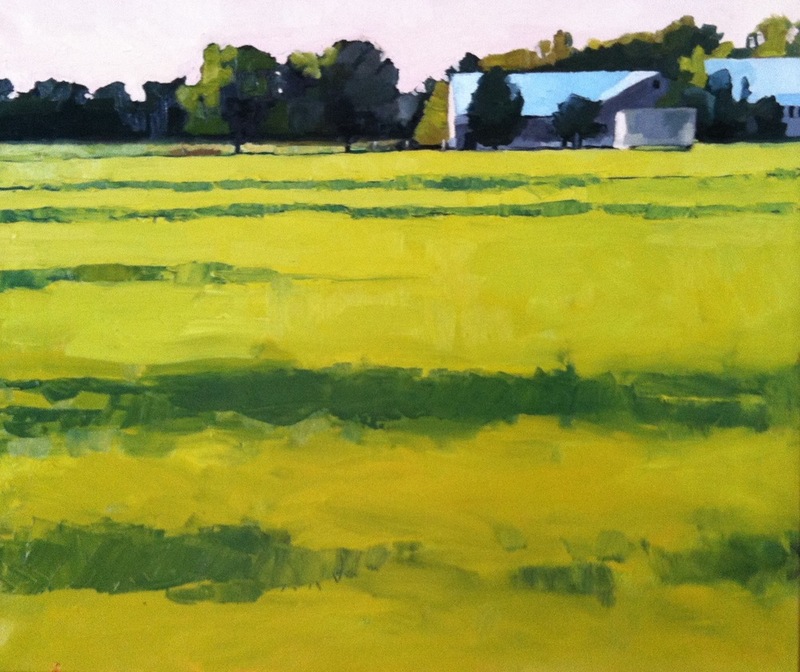 For this series I remember the pestering flies when I trekked out in the pasture to paint “Line of Milk Makers” in July (notice the cow’s tails swishing) and the gorgeous May day when pulled to the side of the road to paint “Oliver Hill Farm and Windmill Study”. Many of these images are from my own farm in Vermont, where I have the luxury of stepping out my door in the early morning or late day to capture the light on our own working landscape. Plein Aire studies are a capturing of a unique moment in time, and in a world that moves so fast it is reassuring to know that there are artists out there, brushes in hand, transcending time and making a moment immortal. Hannah Sessions, a native Vermonter, who lives, works and paints on her goat dairy farm in Leicester, Vermont. Soon after graduating from Bates College with a degree in Studio Art and Political Science, she and her husband established Blue Ledge Farm and Cheese in 2000. Art and painting took a backseat to raising children and goats for a few years, but beginning in 2008 Hannah returned to her painting. Time away has matured her style, and given her new appreciation for the opportunity to reflect and express oneself through the application of paint on canvas. Hannah has been a member of the Brandon Artists Guild Brandon, VT since 2008 and Edgewater Gallery in Middlebury, VT since 2010. She and her husband also exhibit work in their on-farm gallery, Blue Ledge Gallery, and online at www.blueledgegallery.com.